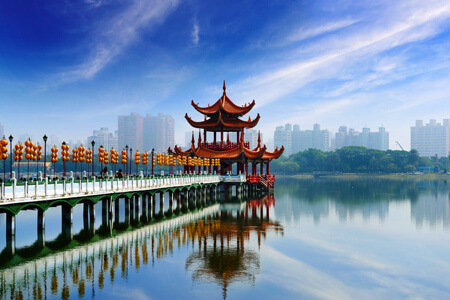 Beautiful Taiwan is widely known as the Tiger of the Asian economy. Besides, this island is a fascinating tourist destination for cruise ship passengers to hop on Taiwan shore excursions. There are various spectacular sceneries to see such as lush green forests, breathtaking seascapes, spectacular rivers, and lakes, ancient, temples and pagodas, busiest markets for shopping choices and many famous scenic sites. This wonderful island has all enough to satisfy the most discerning travelers! Along with beautiful landscapes, Taiwan also has a rich culture and abundant cuisine. 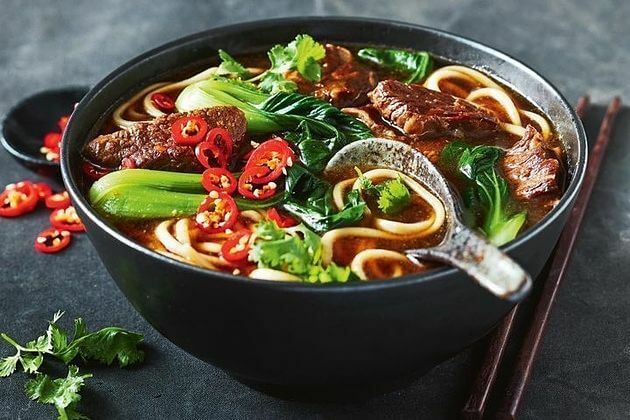 Thanks to the traditional recipes well-preserved through generations, Taiwanese cuisine is famous with unique dishes highly regarded by culinary experts. On the island, there are plenty of cultural and religious sites such as temples, pagodas, and so on. On the other hand, the marine tropical climate is an important point to notice. While the summer from June to September is hot and humid, the winter in Taiwan is quite cold, especially in highlands. 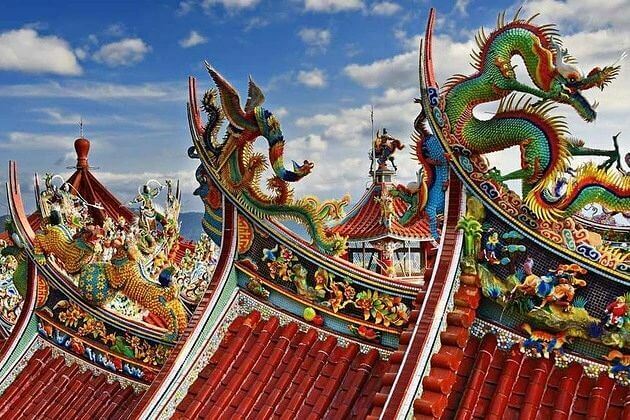 Asia Shore Excursions offers a wide arrange of Taiwan shore excursions for cruise ship passengers stop at important ports in Taiwan. 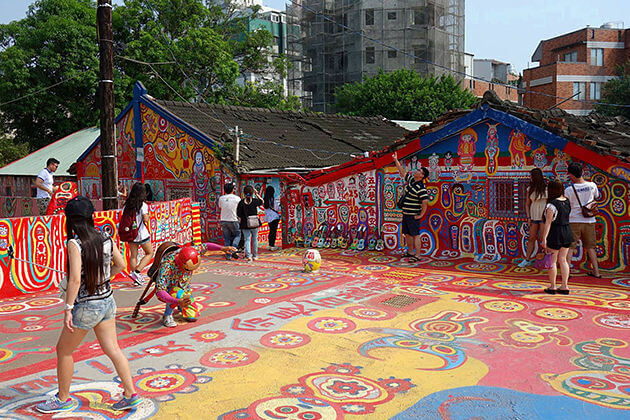 Check out our recommended Taiwan day tours and trips for some inspirations. Otherwise, contact us to tailor-make a unique Taiwan shore excursion that exclusively for you. Are the other people who have booked the trip also on the Millennium? Can you tell me what time the pick up is and what time does the tour return to the ship. What other places are visited on the tour day? Could you reserve the final 2 places and we will get back to you as soon as we know exactly what the trip includes. Warmest greetings from Asia Shore Excursions. Thanks for your request, we have dropped you the detailed quotation of Keelung – Taipei shore excursion as you request, please check your email. I just booked on the Celebrity Millennium, and likewise, I am intetested in the pingki lantern festival on March 2nd. Do you have availability for one person? Thank you for letting us know your travel plan. The detailed quotation on this Keelung – Taipei shore trip has been sent to your email address. Please check it and let me know if you have any other enquiries. A friend and I are on the Celebrity Milennium, and we are interested in the Pingxi Lantern Festival on March 2nd, 2018. What time is the pick up and are there still 2 places on this excursion? Please let me know as soon as possible, and we will book this. Thanks for your request on Taipei shore excursion, we have dropped you an email with detailed information attached. Please check and feel free to contact us if you have any question. Please check your email again for detailed information. Contact us if you have any further question. 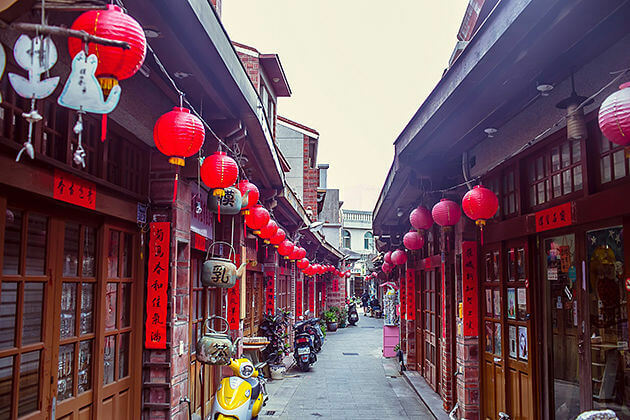 Due to the location is in the east of China and used to be a part of that country, in Taiwan shore excursions, you can see the dramatically affected by Chinese culture in every sector. This small island is exotic with lush green mountains, stunning sunshine jumping on clear water, and savory food that makes it become the attractive destination in Asia Shore Excursions. Despite the small scale, there is still a variety of amazing attractions. Below are the top things to do and see in Taiwan we would like to recommend for your Taiwan shore excursions. 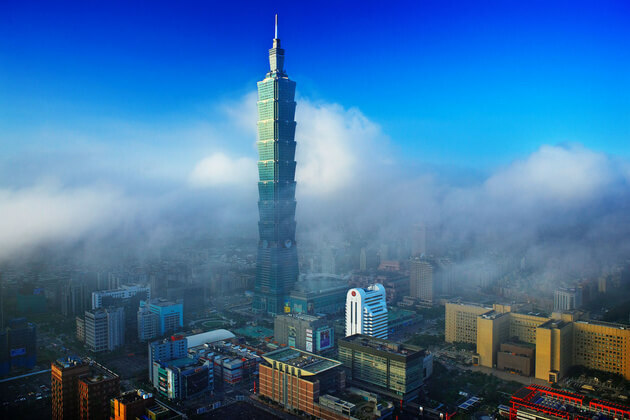 Located in the capital of Taiwan, the Taipei 101 is one of the most popular places that attract various visitors on any Taipei shore excursion. Be listed in one of the most beautiful skyscrapers in the world by BBC in 2015, like the Empire State Building in New York and Jin Mao Tower in Shanghai, Taipei 101 is not only a building with 101 floors but pride of the whole country. Famous for the outdoor observation in the floor of 91, the building provides the chance to feel the fresh wind, admire the landmarks surrounded by clouds, and the panoramic view in the height of 508 meters. If you are fear of heights, move to the 89th floor to enjoy the view from indoor observation. Your eyes will be full of colorful houses and landmarks below with the lush green mountain far away. Don’t quickly think that it takes a lot of time to move from the 1st floor to the 89th, Taipei 101 has the world’s fastest elevator with maximum speed is 1010 meters per minutes. Moreover, the fantastic building also has the biggest wind damper in the world. Located in the 88th floor, the damper with a diameter of 5.5 meters and the weight of 660 metric tons which is the key keeping the structure safe in bad weather such as strong winds, typhoons, and earthquakes. 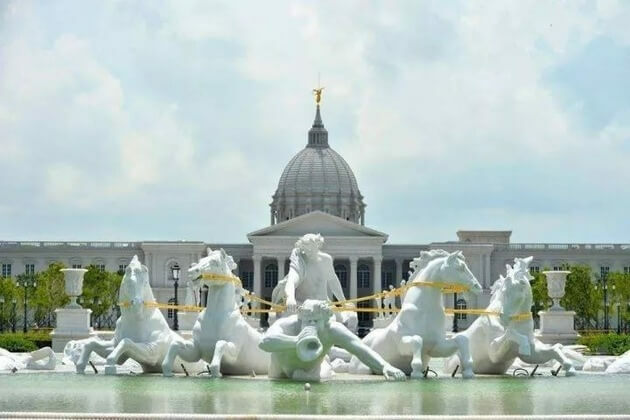 Looked like the White House in Washington DC from the long distance, Chimei Museum is an interesting attraction that can be missed in Kaohsiung shore excursions. The museum is a comprehensive complex with plenty of collection of weapons, musical instruments, natural history, and even Western art. The first floor is exhibitions of natural history & fossils, arms & armor, Rodin gallery, and temporary exhibitions which are different depending on anniversary and topic. The 3rd floor is the complex exhibitions of Western Arts and musical instruments including the way to make, play, and record music, especially with violins. For those who interested in art or being museum lovers, this is a must-see spot. Western countries and America do not celebrate the Lunar New Year, that why they can’t feel the ancient breath from traditional festivals held under the full-blooming cherry blossoms – the symbol of spring. Get hands-on experience tasting the spring atmosphere by hopping on a Taipei shore excursion to Tianyuan Temple that the best time to visit is from January to March when the streets are filled by cherry blossom petals falling down from the boughs, creating a picturesque sight. 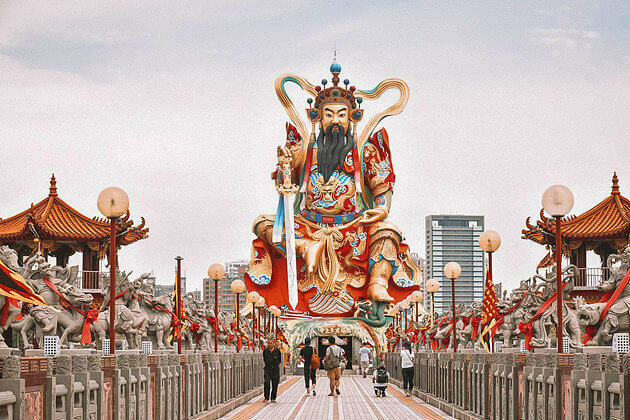 This Taoism temple is dedicated for the Jade Emperor – one of the three greatest deities in Taoism – who you can admire his images in the whole five floors of Tiantan meaning Altar of Heaven in English. Climb to the top to catch the overview of sights surrounding the temple and also the lines of cherry blossom. With beautiful weather, stroll along and surely make your camera ready to take stunning pictures. This place is still lack of known with foreigners, but in spring, it always full of local people coming to admire the cherry blossoms blooming. Fire burning on water. You may think it is a crazy thing that can’t happen. But it really exists in the Guanziling Hot Spring in Tainan (Kaohsiung) shore excursions, or we can call it Kaohsiung city. 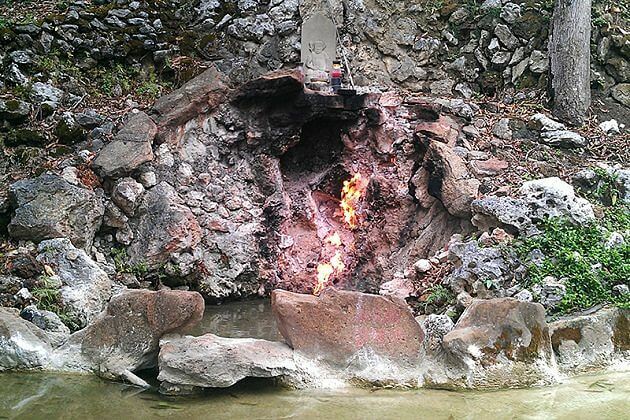 The combination of fire and water cave which naturally outflows with gas and hot spring water creates a fire burning on the water surface for almost three centuries. 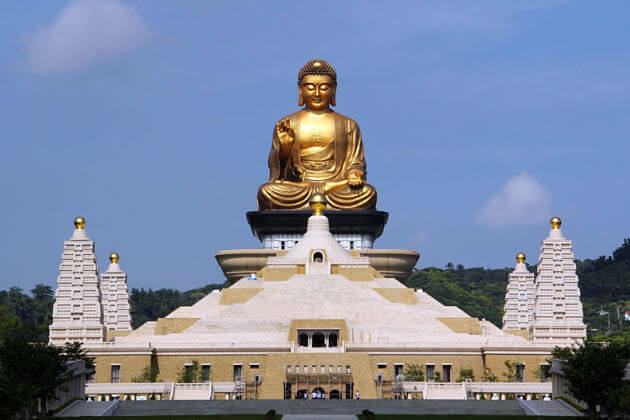 Located on the height of 270 meters above the sea level, the attraction including Guanziling Hot Springs, Red Leaf Park, Blue Cloud Temple, Great Immortals Temple, and Shianching Theme Park. Created by the earthquake, the hot spring water is dark grey and bitter mud that well-known for the name of the black hot spring. The sulfuric properties are said that can heal quality for maintaining the skin, erase the nervous, problems and discomforts. The mud will leave your skin feeling soft and smooth with its natural power. 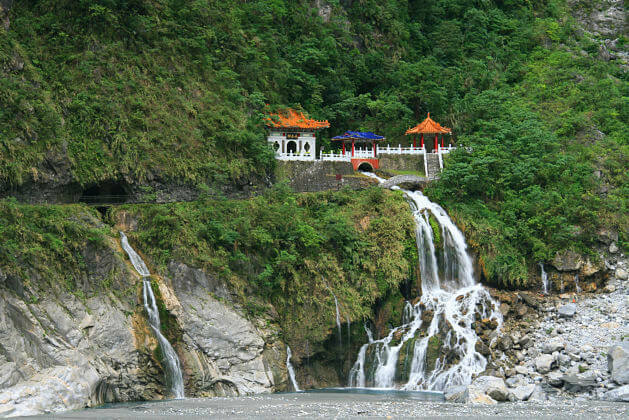 The most popular attraction in Hualien shore excursions is Taroko National Park. This fantastic park is well-known for the splendor mountains, marbles canyons, and mesmerizing scenery. If you are the kind of person who doesn’t like crowds, take a 20-minute walk through the suspension bridge, then hit the trail to the bell tower located above Eternal Spring Shrine. On the top of the tower, you can catch the panoramic view of the whole Taroko Gorge and enjoy the fresh cool atmosphere. After millions of years affected by wind erosion, the cliffs and canyons were formed along Liwu River, create the Swallow Grotto inside. The sedimentation on the surface is a wonderful sight with black and white layers. 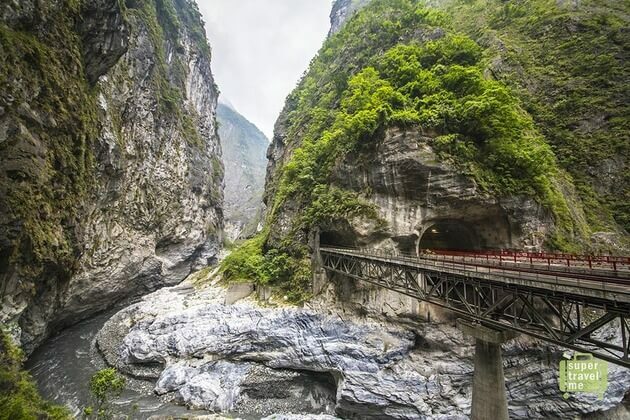 Another natural masterpiece in Taroko Park is the Nine Turns Tunnel providing the scenes of the gorge, river, stone structure, and the surrounding special faunas and floras. Moreover, trekking through the Biyang Trail, you can explore the Water Curtain Cave which is the best choice for water lovers. With various natural cracks in the roof making the place for water falling down, you may need a raincoat or umbrella, but it’s not necessary if you don’t mind being wet a little. Taiwan is covered by a huge number of tourists flocking to various sights and attractions each year. 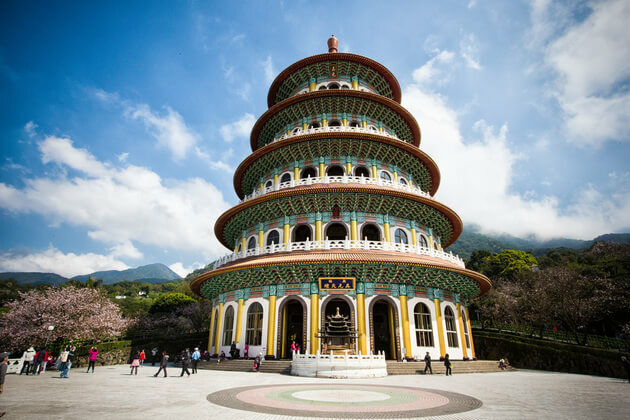 There is a plenty of impressive activities and things waiting for visitors coming to Taiwan to enjoy including unique Taiwanese architecture, pristine beaches, and lush green national parks. 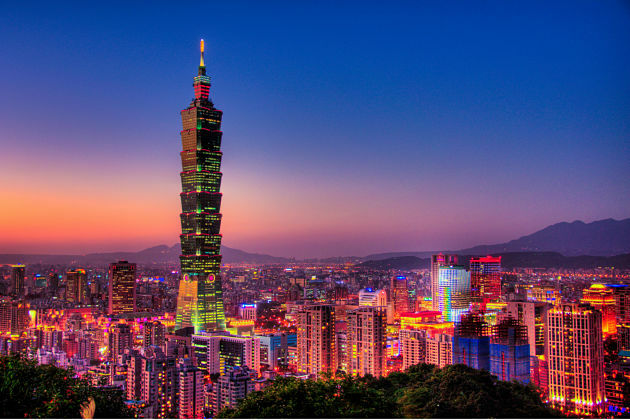 Along with the beautiful nature, Taiwan shore excursions present an island with metropolises, modern shopping malls, and entertainment centers. Before packing your bags to visit Taiwan, the weather is an important issue that you should notice about. Even though Taiwan is beautiful throughout the year that your Taiwan tour can definitely be exciting no matter when you visit, some seasons will be better than others. Check out this information below that Asia Shore Excursions would like to present the best time to visit Taiwan shore excursions. In Taiwan, spring lasts from March to May with nice weather, mild temperatures range between 20-25°C. 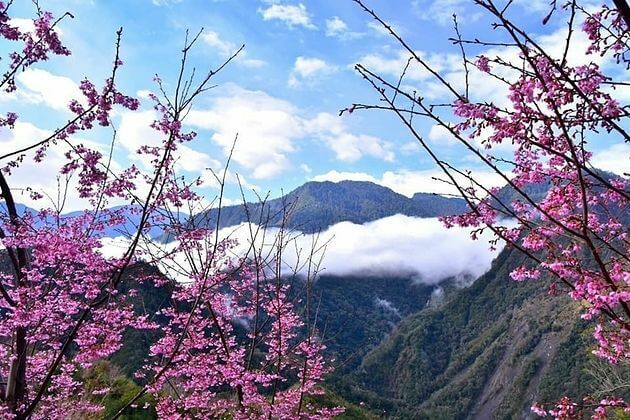 This is one of the best time to enjoy your Taiwan shore excursions that cherry and plum blossoms fully bloom creating a wonderfully spectacular sight over the island. However, it’s also the peak of tourism both visiting the cities, hiking the mountains, and exploring the national parks. You should avoid visiting Taiwan at the end of May when the typhoon season is getting to start with some sudden rain. A lightweight raincoat and an umbrella are recommended. If you are people of festivals, spring is not your cup of tea. Not many festivals are celebrated during this time, luckily blessing the traffic. However, Tomb Sweeping Day held on April 5th when people together with their family visit ancestor’s graves, leading to markedly busy transportation. Of course, summer everywhere is the hottest time of the year, so does Taiwan. This time dominates the island with hot temperature and humidity. The temperature during the daytime can reach over 30°C. Local people who prefer white skin than a tanned one escape from the sunshine as much as possible. So the evening is the peak time of entertainment in Taiwan shore excursions during summer. It’s also the typhoon season causing to heavy downpours most of the time. The most famous festival in summer is the vibrant and crazy Dragon Boat Festival. Be a part of this festival, you can hop on a Dragon Boat to compete with dozens of others to win the race event. After a tired time of enjoying the festival, enjoy Zhongzi – the Taiwanese traditional sticky rice dumplings. The best time to visit Taiwan is autumn running from the end of October to January. Typhoon season passes by leaving a cool temperature and windy but mild weather. Sunshine replaces rainfall during the daytime, just a little rain can occur. Autumn is the time for celebrating popular festivals such as Moon Festival and Double Ten Day. Moon Festival is held on the fifteenth day of August following the lunar calendar which is extremely fun and bustling. Join a local family to taste all the shapes of this wonderful festival when barbecuing under the bright full moon. Besides, Double Ten Day is a much livelier annually festival which you can stand in front of the president palace to admire military parades. If you luckily visit big cities including in Taiwan shore excursions during the festival, artistic fireworks can be performed. Taiwan has a tropical climate that winter is not really cold. Winter in this country has a mild temperature and rarely rain. Even though local people warm their body with winter gear, most tourists coming from Western countries with a colder climate only need sweaters and jackets. Temperatures rarely drop below 10°C that frost and snow only exist in the top of high mountains. During winter, cruise passengers from Taiwan shore excursions can enjoy many festivals. 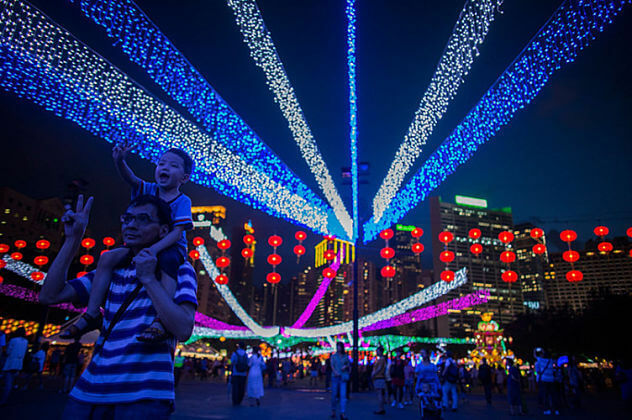 Although Christmas is not held in Taiwan due to most of the population following Buddhism and Han folk religion, you can visit Banqiao to enjoy Christmas day with Christian followers. In the New Year Eve, the firework show in Taipei 101 is the most spectacular throughout the country. However, if you don’t have the chance to visit Taipei on the D-day, Taichung and Kaohsiung also display fireworks, but with a smaller scale. The biggest festival of the year is Chinese New Year lasting for a week with crazy vibes and colorful scenery. Tourists from all around the world must hold passports to enter Taiwan. Their passports must valid at least six months from the date entry. Emergency and temporary passports are not accepted, except Japan and United States citizens. 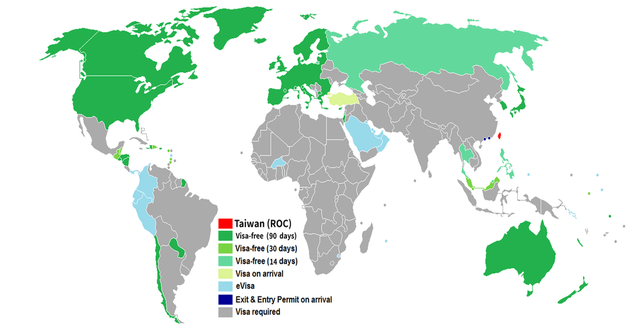 There are 64 jurisdictions that their citizens do not need a visa to visit Taiwan with the day staying depending on the visa policy of Taiwan. Citizens from 25 jurisdictions can get the visa exemption in 90 days including the European Union, Australia, Canada, United States, Japan, and South Korea. There are 8 countries get visa exemption for 30 days, and 4 countries for 14 days. Single-entry eVisa is acceptable with some countries to stay in Taiwan for less than 30 days. Citizens from other countries need a visa to visit Taiwan. Taiwan is a developed country that the communications service can widely access. This service provides mobile phone numbers, SIM cards, mobile internet, ADSL, broadband, and cable TV internet which are both extensively available throughout Taiwan. Taiwan is one of the most developed markets in Asia in telecommunication fields. Companies working in this field always try their best to attract customers such as offering the cheapest price and providing the best services leading to multiple choice. If you want to own a Taiwan mobile number, you should prepare for the deposit around TWD 3000 that most suppliers require. Moreover, you may also need a local Taiwanese to sign on the form as your guarantor. The Internet is widely accessible throughout the island. Most hotels, restaurants, coffee shops, and shopping malls offer free Wi-Fi for citizens can easily access the internet wherever they go. Besides, many suppliers provide mobile internet at a reasonable price. The government has recognized 16 indigenous tribes in this country along with more than 520,000 new immigrants mostly coming from Southeast Asia and the mainland of China who bring the diverse culture but still well maintain the Asian traditional style. Mention to Taiwan, most people claim that this is a Han Chinese society. This opinion is easy to understand that more than 95% of people living in Taiwan following Han ancestry. However, Taiwan’s heritage is much more complex. The later generation of Chinese immigrants has influenced Taiwanese culture with mutually unintelligible languages and different customs. Nowadays, these differences are blurred into one with Mandarin traditional culture. 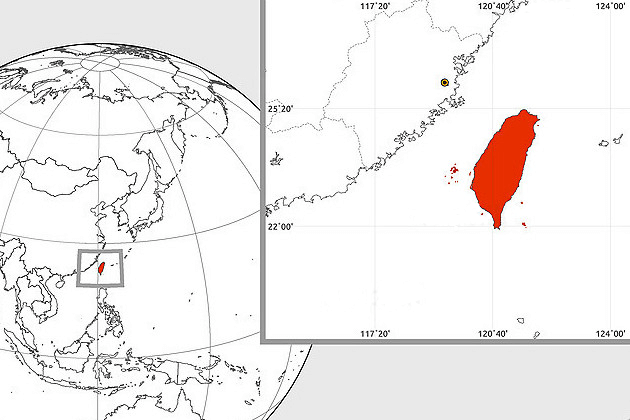 Taiwan is exactly the same as its shape – a sweet potato. This sweet island has gained millions of visitors throughout the years by not only magnificent attractions but also delicious unique cuisine. 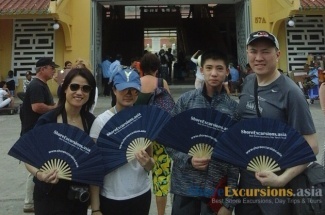 Along with genuine and friendly local people, Taiwan shore excursions keep travel-lovers coming back every time. 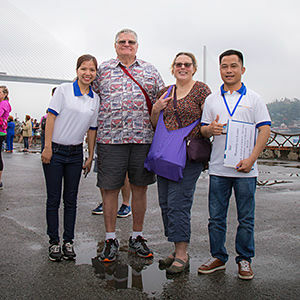 To provide the best Taiwan tours for you, Asia Shore Excursions have spent hours both searching for information and hopping on real experiences to offer the most useful travel tips. 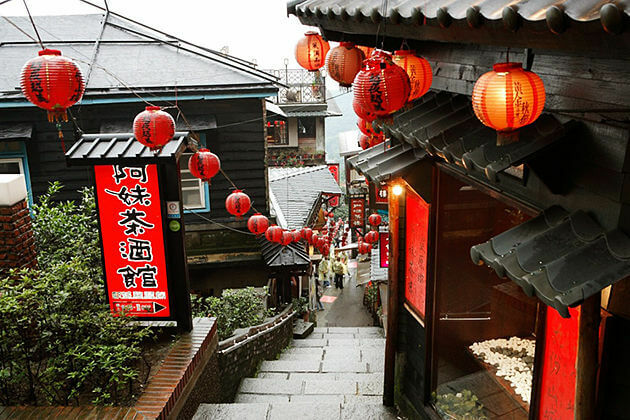 When is the best time to visit, where to go, which to buy, and what to eat, we discovered all. Below are the typical costs and saving tips for traveling to Taiwan. For overall, accommodation in Taiwan can be widely found around with a cheap price. Staying overnight at a dorm bed starts at TWD 220. A private room at a hostel costs from TWD 900 to 1500 with standard services including free breakfast, Wi-Fi, and air-conditioner. Most cities and towns have budget accommodation that you can easily choose one to stay. Taiwan is the land of beautiful mountains which are not really high, staying overnight inside your sleeping bag in a tent is really a good idea to minimize accommodation cost. Camping outside in this island is a unique and worth-to-try experience to taste all the flavors of Taiwan. Another way to save your wallet in Taiwan tours is using Couchsurfing. Make friends with locals and ask them whether you can stay or not. Make sure that you respect their culture and show your goodwill. Different from the high price of accommodation in Taiwan, food on this island is really cheap but still delicious. Commonly an average meal costs around TWD 60 – 100. A meal with dim sum – the traditional Taiwanese dish – usually has a higher price, from TWD 80 to 150. Taiwanese cuisine is highlighted with fatty flavor and Asian spices such as beef noodles, dim sum, braised pork rice, oyster omelet, and so on. A must-try drink in Taiwan is milk bubble tea famous worldwide. A cup of tea with milk tea and bubble pearl costs around TWD 60. Price for a room in hotels near night markets is usually cheaper than ones in the city center or near shopping malls. The service quality may be not really good, but choosing to stay in these areas brings a lot of advantages. Food can be easily found in the markets just out of the hotel. With a short walk and a cheap price, you can enjoy a delicious street meal instead of pay for an expense fee for taxi to get an expensive meal in restaurants that are not necessary. However, some using fake photos to attract customers. 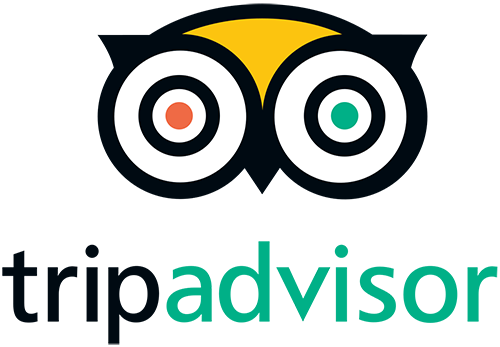 To make sure that the services are acceptable, check carefully reviews of visitors. If you travel without the help of any agency, when you take the first step to Taiwan, the thing you should do immediately is buying an Easy Card. This magical card is purchased with the minimum deposit is TWD 600. Where can you get it? The card can be found at the information counter in the Taipei Main Station. The card is really convenient used to pay for HSR – high-speed railway, MRT – Mass Rapid Transit, and some supermarkets. To recharge the card, using fill machines in Taipei station. If you leave it over, money will return at the information desk in the train station. When in Taiwan, local food is much cheaper than Western-style. Street food in Taiwan is really good. If you are keen on sweet dishes, try taro balls, peanut ice cream roll, and milk tea. To fill your stomach, enjoy beef noodle soup, steamed pork bun, dumplings, and rice stuffed chicken wings. A Western-style meal can cost twice as the local one. Tour guides are the essential part in any trip to every strange land you will set foot on, Asia is not excepted. We have spent years learning, improving, and finding the best way not only to create perfect tours to Asia, but to satisfy every single customer coming to us. 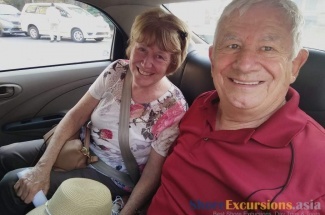 With our knowledge, friendliness, and enthusiasm, we are pleased to share about history, culture, travel tips, every information you may need for a great shore excursions. We aim to be the best host who will lure you away! Getting hands-on experience being a traveler, and then interacting with other travelers all along their whole trips helps me to stand on their place, deeply understand about their interests and demands. I never stop finding epic activities, amazing places, and wonderful feelings to worth your trip. There are a lot of travel firms around the world, but I have a strong belief that we can bring to you the completely different experiences. Everything in our shore tours is excellent! 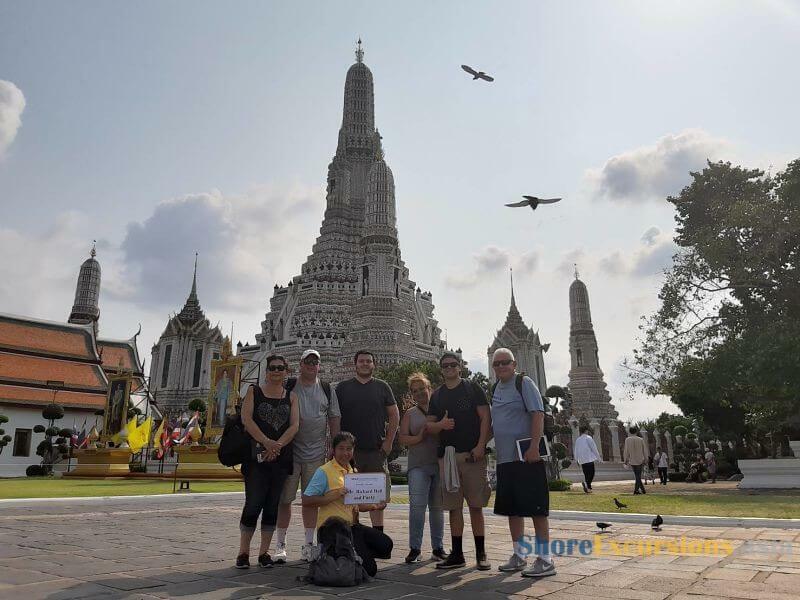 Shore Excursions Asia tailor-makes unique day tours, sightseeing adventures and activities to help travelers explore Asia on their way. We are a passionate team of one hundred avid travelers who love to share our experiences of Asia with those looking for a more authentic travel experience.